Search Solution Staffing provides fast and reliable Accounts Payable professionals across an array of industries. 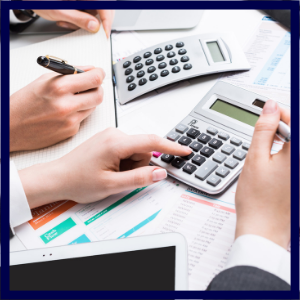 Our work in the Accounting industry has connected us with a network of Accounts Payable professionals ranging in skill level and industry experience. From entry-level to management, Search Solution Staffing has the Accounts Payable temps and contractors that can quickly be an asset on accounting teams. Our staffing agency understands the types of Accounts Payable professionals that work best with certain business models, and our dedicated account managers will ensure a great fit. Our specialized Accounting recruiters have an extensive database of experienced, and available, Accounts Payable temps and contractors. Whether a business needs temporary, contract, or contract-to-hire talent, Search Solution Staffing will commit to the needs to deliver competent and dependable Accounts Payable talent. Accounts Payable Managers are a vital component of a company’s accounting department and must possess the necessary management experience, as well as advanced knowledge of ERP systems and Microsoft Office applications. Whatever the requirements may be, Search Solution Staffing works with businesses to find the Accounts Payable manager that is the best fit for the company. Accounts Payable Clerks are generally entry-level positions, although there are instances where a specific skill set or level of experience is required. Our dedicated recruiting team analyzes the unique requirements of the position to find the ideal candidate. At Search Solution Staffing, it is generally our strategy to require these candidates to have a minimum of a high school diploma, proven experience with Microsoft Office, excellent interpersonal skills, and experience working in an office environment. We offer three different methods to provide your company with the accounts payable employment solution that is right for any situation. For quick short term employment needs, Search Solution Staffing offers temporary AP staffing for our clients. By collaborating with our clients on short term needs we are able to help our clients keep things moving as they should. Many of our largest clients started out with a short term Accounts Payable solution! When the need to fill an Accounts Payable role has a definite window of time, contract solutions are ideal for our clients. Whether your company is experiencing seasonal fluctuations or working on a new project, our team will strive to find the perfect professional to work with your company for the duration of the contract. Our clients also always have the option to extend a full-time offer, should you feel the need to keep the employee permanently! Contract-to-Hire is an ideal way to fill a position quickly while thoroughly vetting the candidate before extending a permanent offer. This allows our clients to move quickly and decisively while evaluating the needs of the role and the abilities of the employee.